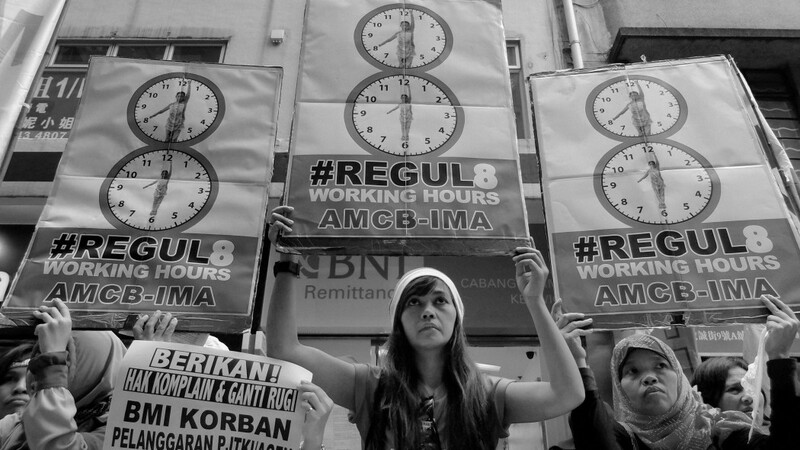 Foreign migrant workers participated in a protest on Sunday organised by the Asian Migrants Coordinating Body (AMCB), demanding for the rights and dignity of migrant workers in Hong Kong be upheld. The demonstration came ahead of the 25th International Migrants’ Day on December 18, 2015. 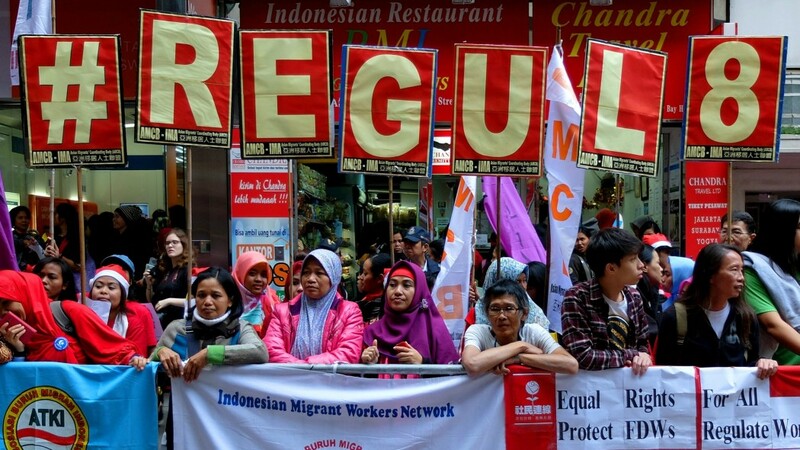 Indonesian and Filipino migrant workers held individual rallies and then assembled outside the Indonesian consulate in Causeway Bay for a combined solidarity rally. According to the AMCB, the wages, working hours and labour conditions of Foreign Domestic Workers (FDW) exemplify modern-day slavery and social exclusion. 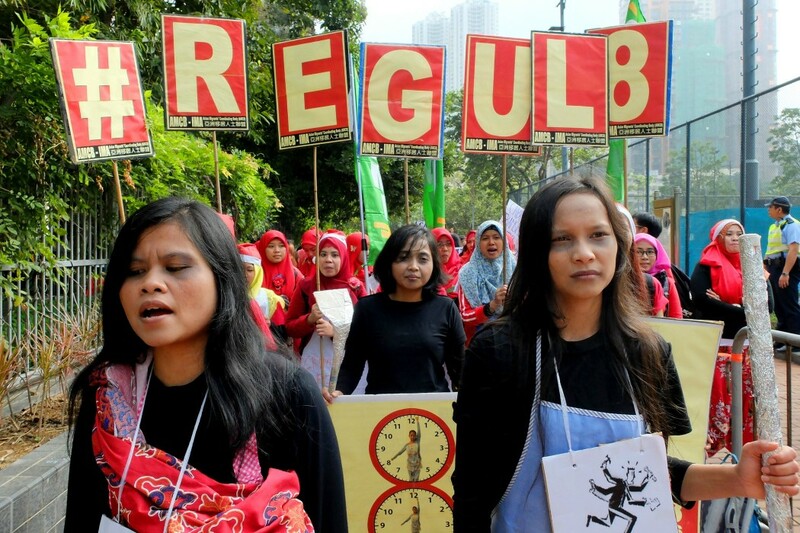 Foreign domestic workers (FDWs) march in solidarity ahead of International Migrants Day 2015. Photo: Adrian Lo. Leung Kwok-hung “Long Hair” of the League of Social Democrats joined in the protest and gave a speech. The domestic workers then marched together with Nepalese migrants to the Central Government Offices in Admiralty, singing songs and chanting slogans along the way. In September, the Hong Kong government announced an increase of HK$100 to the minimum allowable wage and a HK$31 raise to the monthly food allowance for eligible domestic workers. 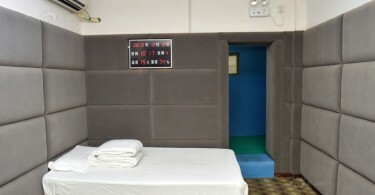 Some of the issues facing domestic workers in Hong Kong include excessive placement agency fees, the two-week rule and the mandatory live-in requirement. Foreign domestic workers are unique in that they must live with their employer and Hong Kong’s immigration law allows them only two weeks to find a new contract when their contracts are concluded. 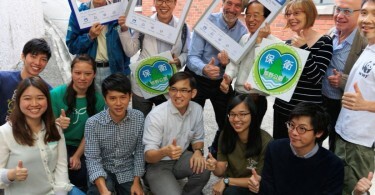 NGOs in Hong Kong are also seeking reform of domestic worker working hours, their minimum wage and food allowances.